Hot new Wedding trend of the year! A cut above the classic photo booth rental experience, our Go Video Booth™ system is a classy way to inspire your wedding guests to leave you their heartfelt messages for your special day. The popular wedding gift idea for the bride-to-be. Something old, something new, something borrowed and something blue - Go Video Booth™ is the unique wedding gift idea which will provide memories for a lifetime. As your wedding photographer captures the traditional wedding pictures, the Go Video Booth™ system captures the heartfelt wishes of your family and friends and serves as your wedding video guestbook. -Very user friendly and fun for all ages. 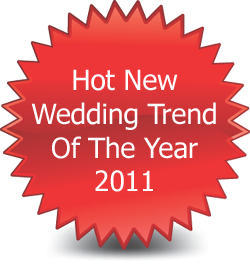 -Novelty factor - makes your wedding the talk of the town. -No intimidating cameraman - guests leave messages on their own terms. -High quality video capture. Can be incorporated in your wedding video. -All messages are compiled to a customized DVD for you. -Makes for a popular wedding gift. Chateau Laurier Wedding. View the Chateau Laurier Wedding video highlights here. "Thank you so much to all of you for the wonderful wishes and heartfelt messages! Adrian and I will cherish this video forever. Go Video Booth for your wedding!"